The next dialogue will ask you to fill in a few details about your parking site, as shown in screenshot 1. The most notable section here is the keywords field. Dub parking site is a content-driven site and one way we discover contents is through keywords. Based on these keywords, Dub will find relevant, high quality contents and display them through your site. Because of this, we highly recommend inserting specific and niche keywords. For example, if your site is about "mobile app development", it would be better to specify "iOS mobile app development" and "Android mobile app development", rather than "apps" or "development". 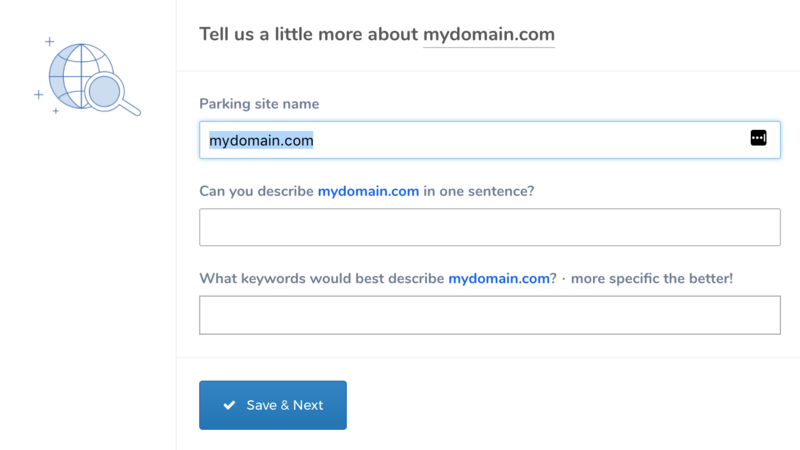 Of course, you can change all your keywords later on via keyword manager.